Deer populations around Petersburg’s Mitkof Island have been low in recent years. Hunters are only allowed to shoot one buck in a two-week open season in October. Keeping track of the population is difficult in a mountainous terrain covered in forest. 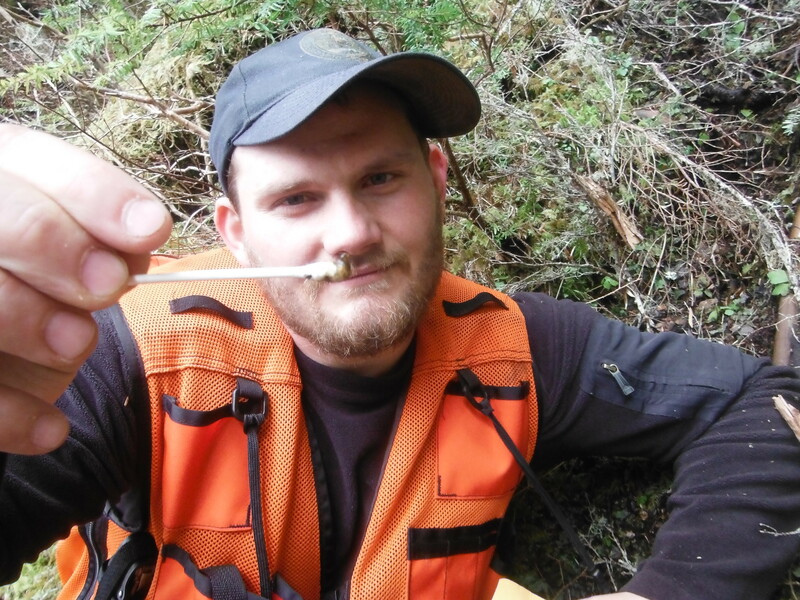 Now, the Alaska Department of Fish and Game is using DNA studies to help fill in the gaps. It’s just after 8 a.m. and a group of wildlife technicians are gathering at the boat harbor in Petersburg. Lucas Baranovic is the crew’s leader. He helps the state department with bear and deer research. Baranovic and the crew are based out of Juneau but are in Petersburg for nearly a month gathering samples. 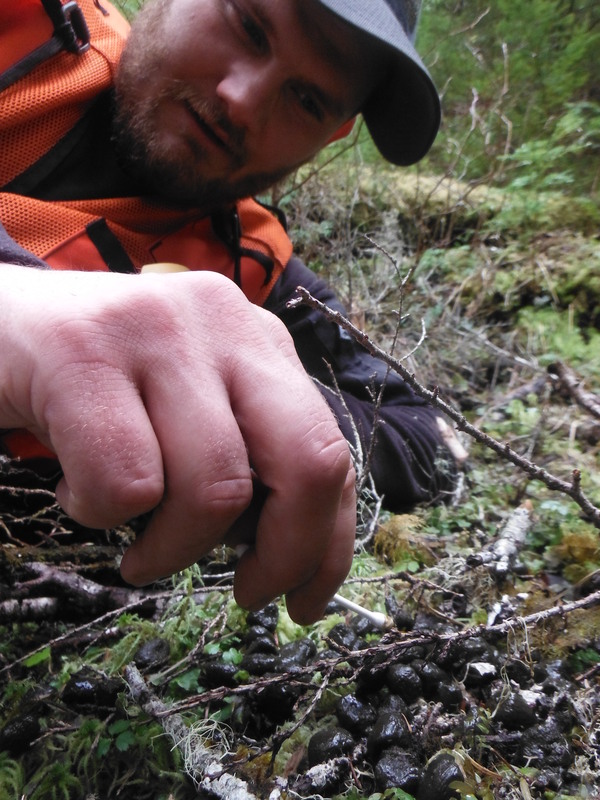 “So, this morning, we’re going to hop in a boat, and drive down to Wood Pecker Cove area and we’re going to be walking in the woods looking for deer pellets,” Baranovic said. And not just any pellets. They need fresh deer pellets so they can extract the DNA from them. They swab the pellets with Q-tips which they bring back to the office in coin envelopes. The DNA is important because scientists can identify individual deer. Seeing the same deer over and over helps them find out how many deer are in the general area. Karin McCoy is a wildlife biologist for the Alaska Department of Fish and Game. You could also call her a deer expert for Southeast Alaska. She tracks deer populations throughout the region looking for trends. 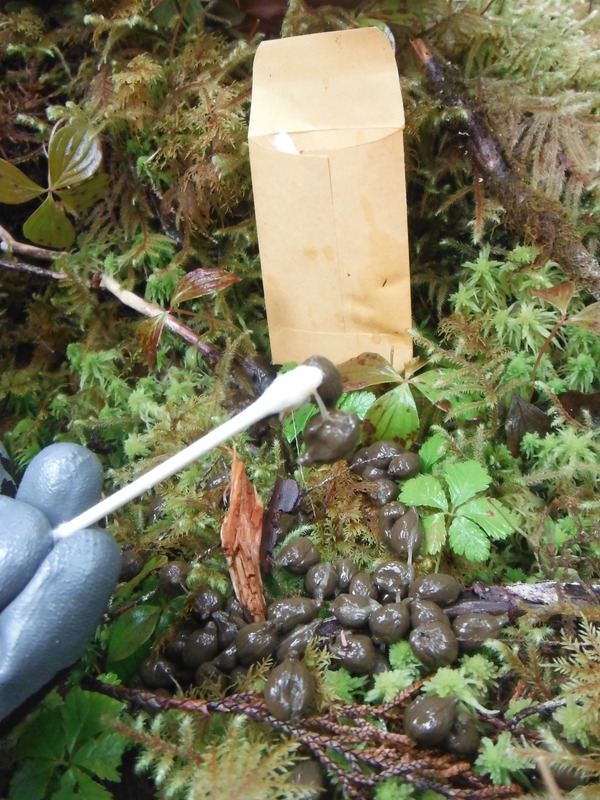 Sometimes she’s on the trail with crews looking for pellets but now she’s back in her Juneau office researching deer data, trying to figure out “how many deer per kilometer squared” are in a given area. She’s particularly interested in two areas in the region: Unit 1-A in Southern Southeast and Unit 3 near Petersburg and Wrangell. In these areas there have been low harvest levels in recent years. “The deer in these areas seem to be recovering more slowly than deer in other areas so we’re trying to get a handle on what’s going on with them,” McCoy said. Aside from the DNA studies, the state is also continuing the more traditional means of monitoring called deer pellet transects. It’s where the field technicians document the amount of pellets they find in a given area. “If there’s more deer pellets on the ground that’s generally can be an indication of more deer,” McCoy said. Generally, there can be a lot of other factors at play. It could be the same deer depositing pellets in the same area or multiple deer moving through. A mild winter could mean the deer are more dispersed and a harsh one could mean the deer are staying together. There are just many variables. “So you really have to get multiple years of data in order for that index to give you an idea of what’s actually going on,” McCoy said. And scientists do have that. Pellet transect studies have been going on throughout the Southeast for three decades. And in general they’ve shown that the largest factor affecting Southeast deer is how snowy the winter is. DNA studies have only been around for the last seven years but already it’s produced more detailed information. For example, there’s a very high density of deer on Prince of Wales Island in non-logging areas, about 12 deer per kilometer squared. On Chichagof Island it was about eight deer. But preliminary data on Gravina Island is showing a much lower density of about two deer per kilometer squared. The DNA studies are giving biologists an idea of the deer population right now. “Instead of having to wait multiple years to get an idea of what might be going on with the deer we can have an idea of what the density is right at that specific point in time,” McCoy said. And that will help them manage the popular deer hunts in the region. Back at the boat harbor, Lucas Baranovic and his crew of wildlife technicians pull their gear out of the back of a truck to load the boat. Today, they are traveling to a watershed south of Petersburg. How many samples they’ll find is unknown. Over the past month, it’s ranged from about three pellet groups to 20 groups per day. The deer pellets will eventually be sent to a lab in Missoula, Montana to be analyzed. The state biologists will get those results back between six and twelve months from now.